Wow your guests with the beautiful and elegant serveware set from the Elama Signature Collection. 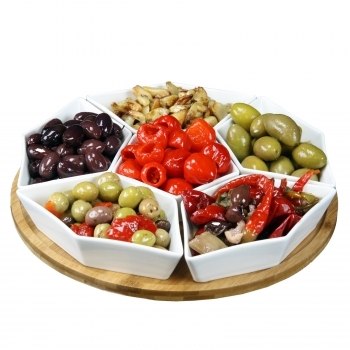 Elegant serving bowls are constructed of stoneware that are microwave and dishwasher safe. Convenient Lazy Susan serving tray is constructed of beautiful Bamboo.